The dashboard lights inside your Honda Civic are designed to help you with the operation and care of your vehicle. In this handy Honda Civic dashboard light guide, well help drivers from the Fountain Valley, Costa Mesa, and Newport Beach area become more familiar with what these indicator lights mean. If you don’t see the dashboard light you’re looking for, contact us at the Norm Reeves Honda Huntington Beach. Just a quick note: Most dashboard lights won’t vary much, but depending on the year and features of your Honda Civic, the lights you see may differ. For the purposes of this guide, well be referencing the dashboard lights of a Honda Civic. At engine startup, the lights on your dashboard should turn on momentarily as an initial test. They should then turn off after just a few seconds. If any of the indicator lights remain on or turn on while you’re operating your Honda, then there could be a potential problem. Dashboard lights are organized into four color groups: red, amber, green, and blue. Red and amber lights typically indicate a malfunction or other issue that needs your attention. Green and blue indicator lights represent general vehicle information. Low oil pressure (red): This indicator light looks like a leaky oil can and signals that the engine oil pressure is low. Pull over safely and check the oil level. If low, add oil as needed. If the light remains on, contact an authorized Honda dealer. Charging system (red): Depicted as a car battery with a negative and a positive symbol, this dashboard light indicates a problem with the batteries charging system. You should turn off any unnecessary electronics, such as the radio and air conditioner, and have your Honda Civic inspected by a certified Honda technician. Electric power steering (amber): If you see a light that looks like a steering wheel next to an exclamation mark, then there is a problem with the electric power steering system. Have your Honda inspected right away. Vehicle Stability Assist (amber): This dashboard light looks like a car with two wavy lines beneath it. If the light is steady, then there is a problem with the Vehicle Stability Assist or Hill Start Assist system. If blinking, then the system is currently engaged and should turn off when stability is regained. ECON mode (green): The indicator that looks like a small leafy plant notifies the driver that ECON mode has been engaged. The engine will adjust various systems to improve fuel efficiency. Adaptive Cruise Control (green): Represented by the letters ACC, this light signals that the Adaptive Cruise Control feature is currently on. Don’t See the Honda Civic Dashboard Light You’re Looking For? We understand that there may be a few dashboard lights that we didn’t cover in this guide. 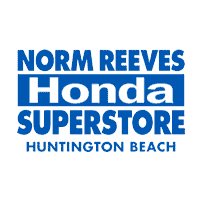 If you’re in the Fountain Valley, Costa Mesa, or Newport Beach area and need help, contact us at the Norm Reeves Honda Huntington Beach. If you believe that your Honda Civic needs maintenance, you can schedule a service appointment using our online service request form.